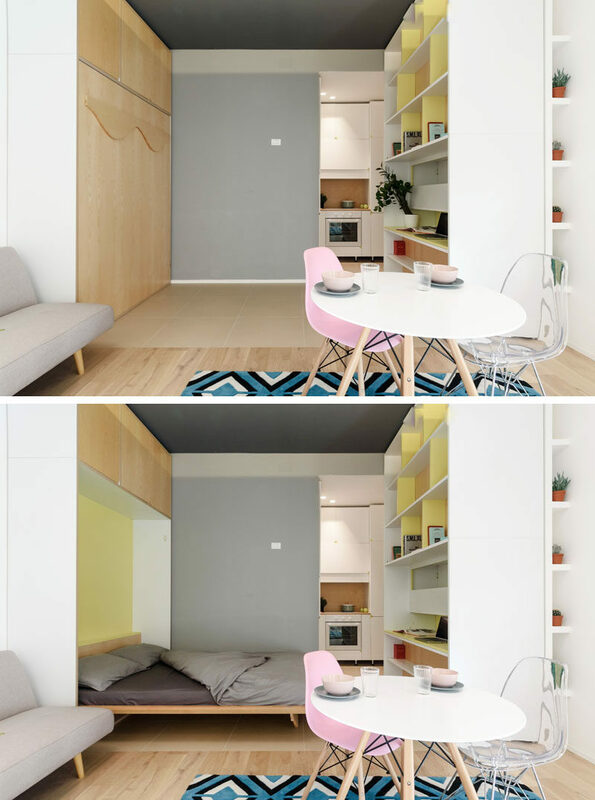 Architecture firm PLANAIR, have designed a small 317 square foot (29.5 sqm) micro apartment in Milan, Italy, that features a movable wall with a variety of functions. At one end of the apartment is the living room with a small couch and dining table. Just off the living room is the bathroom. Next to the living room is the movable wall. When it is positioned in the center, it can have a down desk on one side, and a fold down table on the other. On the desk side, there’s open shelving for extra storage. On the other side with the table, there’s more storage and a mirror has been hung on the opposite wall to make the apartment feel larger. When the bar table is collapsed and the wall is moved all the way to the right, an open space becomes available and is the perfect spot for the bed to fold down into. There’s also enough room to walk around the bed and gain access to the kitchen and the living room. 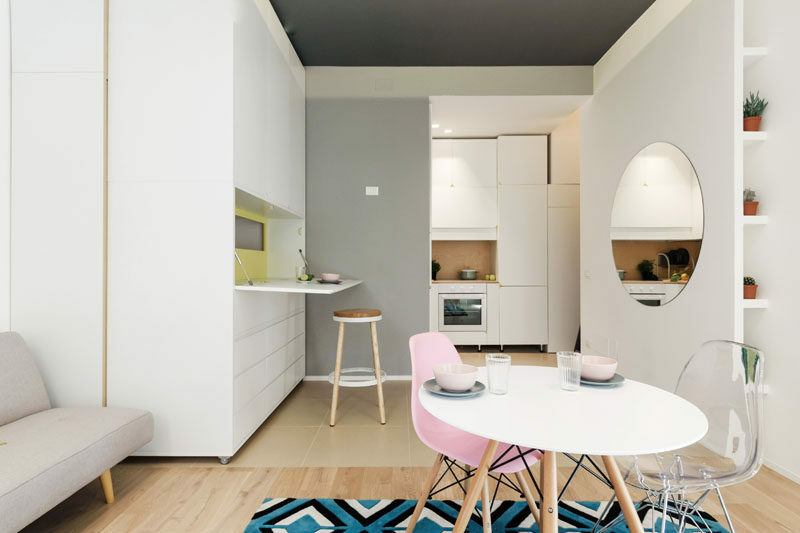 The movable wall can also sit flush with the cabinets in the tiny kitchen, and the fold-down table can become additional counter space for food prep.